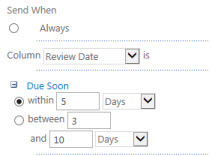 I am going to walk through an example showing how you can use our SharePoint Reminder software to send out date based email alerts reminding authors to review and update old documents. 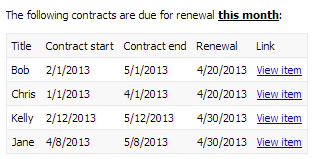 Perhaps you’ve got contracts that will expire at a certain time and need to be renewed. Perhaps you’ve got policies that need to be checked for accuracy at least once per year. 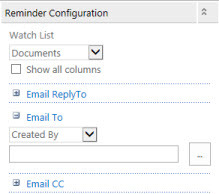 Reminder can help with this and many other scenarios requiring you to setup email alerts to be sent on certain dates – and it’s much easier than working with workflow. 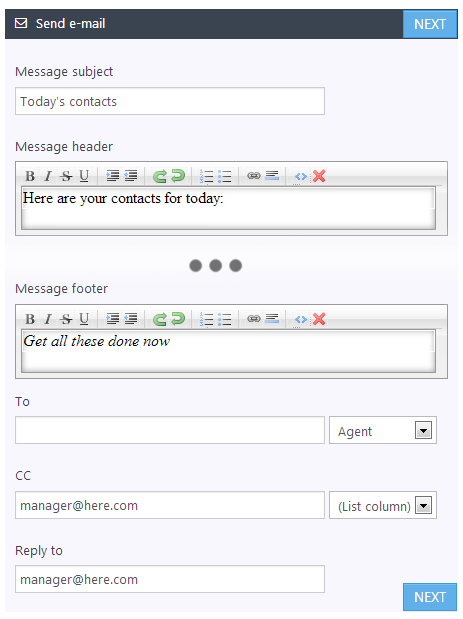 Scenario 1 – Email to author asking for a document to be reviewed once per year. 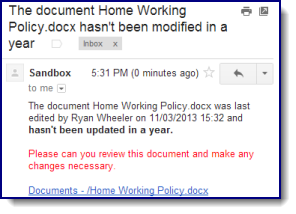 In this simple example we’re just going to send out an email to an author if a document hasn’t been updated in a year. 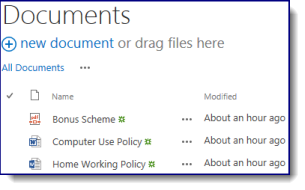 Start with a standard SharePoint Document Library (or even a normal list with document attachments). (These screenshots are from SharePoint 2013 but Reminder can work with any on-premises version of SharePoint and if you’re using SharePoint Online / Office 365 then you can use our Reminder 365 product). 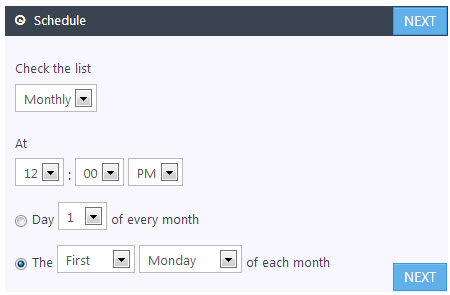 Create a new wiki page (or web part page if you’re using SharePoint 2007) somewhere in the same site. The location is not important as long as it’s in the same site. Setup a subject and message – remember you can include details from the document library such as [Name] and [Modified By] and any other metadata fields from the list. The email will also contain a link to the document record. 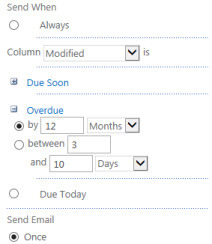 Under Send When set the Reminder email to be sent when the Modified field is Overdue by 12 months – this will trigger an email when a document’s last modified date is a year old. In the Send Email section set this list to be checked at 7am every weekday (or whatever makes sense to your organisation). 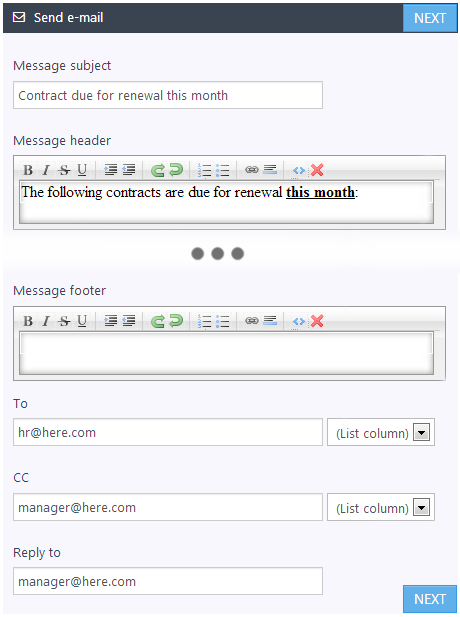 Scenario 2 – Email to an Account Manager to ensure a contract is renewed. 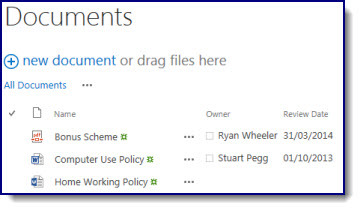 Add an Owner field into the document library as who initially uploads a document may not be the person who is later responsible for it. 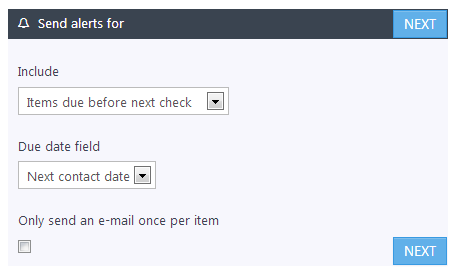 Add a Review Date field – just sending an email in a year’s time isn’t precise enough for our well organised office! Send When : Review Date is Due Soon within 5 days. And you’re done! 5 days before the Review Date comes around an email will be sent to the Document Owner. 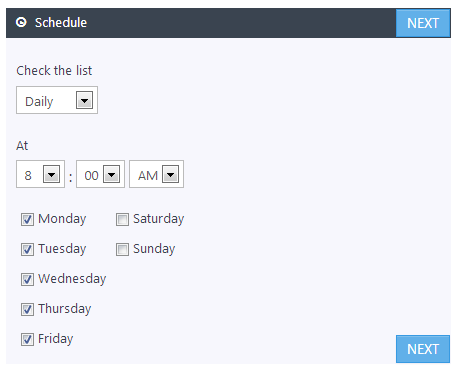 You can have multiple Reminders for different time periods, e.g. One email 2 weeks before a review date saying “Due Soon” and another email once the Review Date has passed by a month saying “Overdue – get on with it!” – let the computer be the team nag! Dynamic Review Dates – perhaps HR documents need to be reviewed every year, but health and safety documents very 2 years. 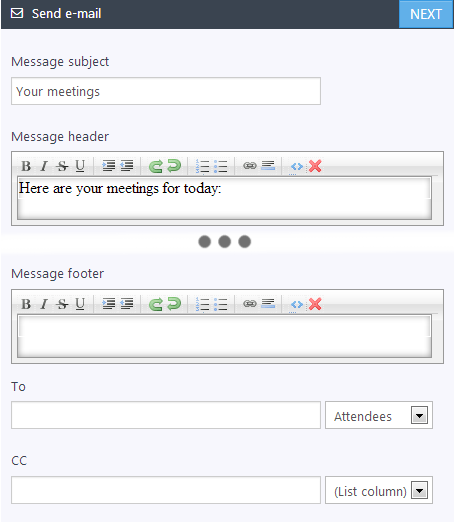 You can set different rules and emails by setting up Views to filter different types of documents and setup different Reminder web parts for different views. Download the free 30 day trial and get started today! If upgrading from SharePoint 2010 to SharePoint 2013 simply perform the upgrade then install the latest version – your old settings and license key will be picked up. 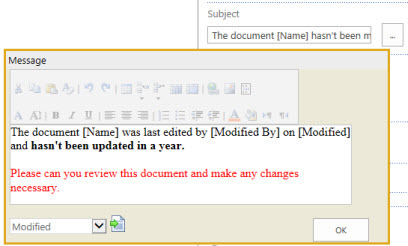 Full instructions for upgrading Reminder to SharePoint 2013 are in the online manual. 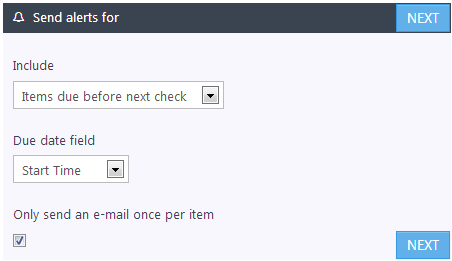 Reminder is the last of our commercial web parts to be made SharePoint 2013 compatible.